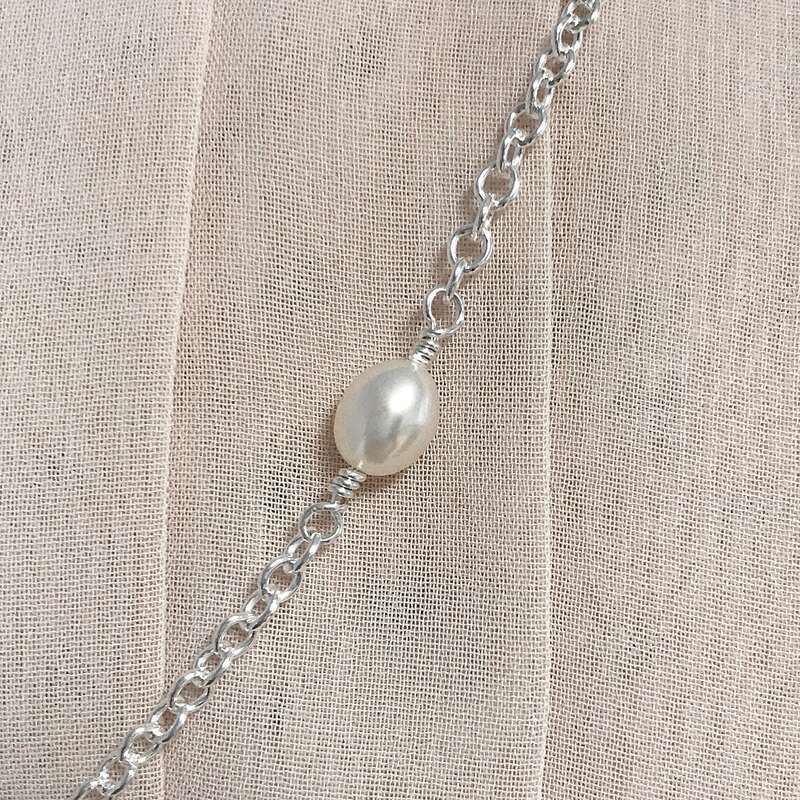 Always a classic, this beautiful pearl necklace features nine 5mm white pearls. 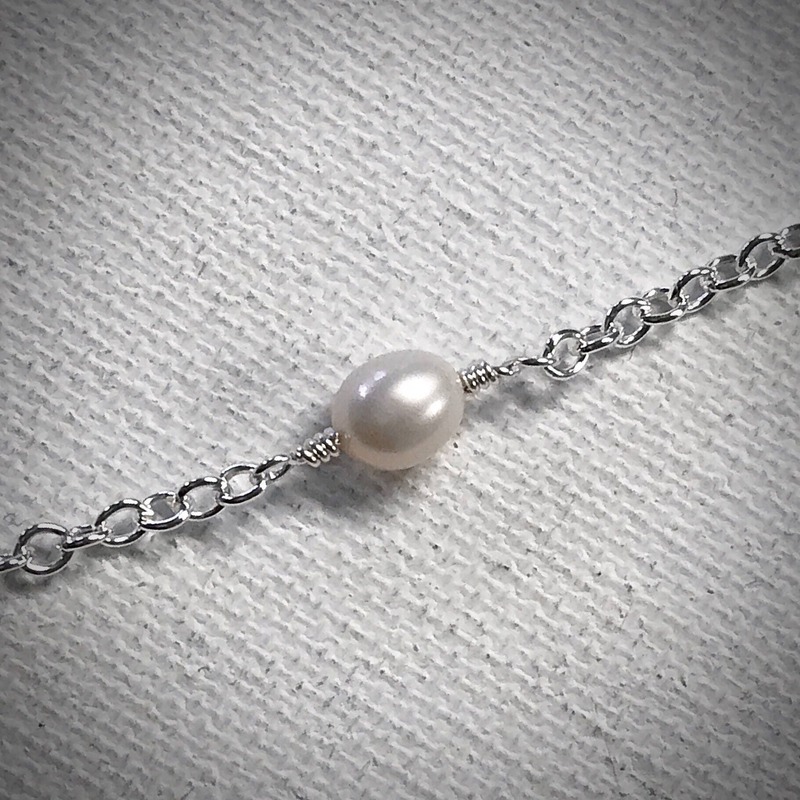 Each pearl is hand wrapped with sterling silver wire linked to sterling silver cable chain. The clasp is a sterling silver lobster claw. 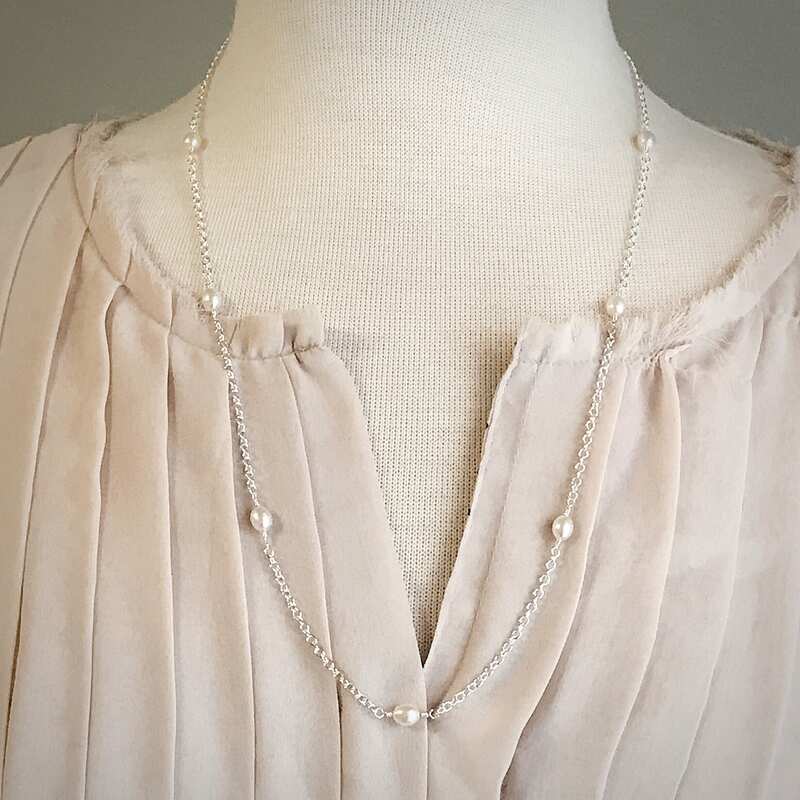 This pearl necklace measures 26 inches in length, perfect for layering or wearing alone. 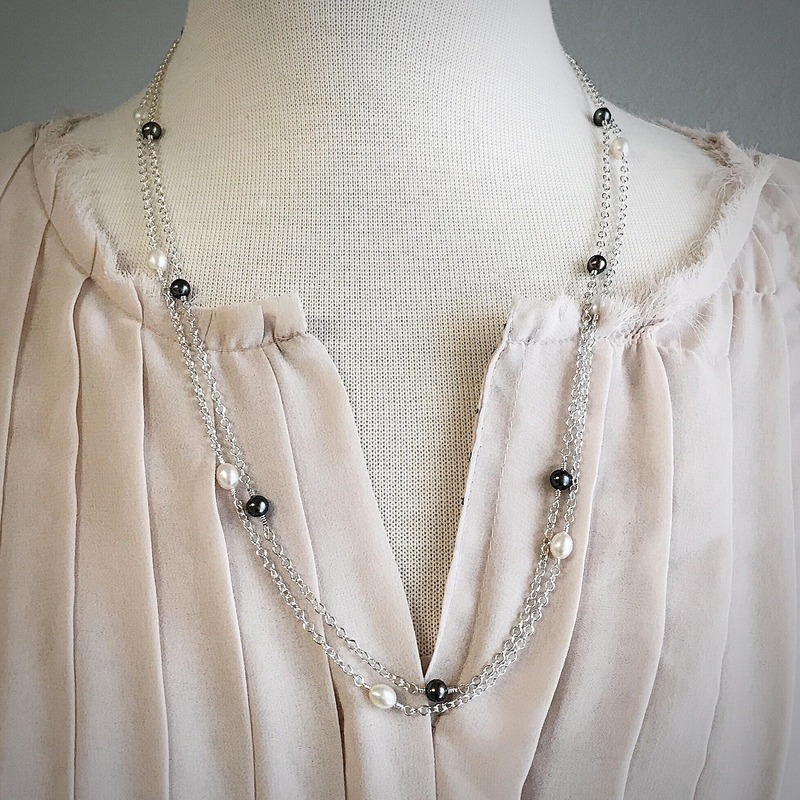 It looks beautiful whether you are dressed up in your finest outfit or with classic jeans and a button down shirt-making this a truly versatile piece.